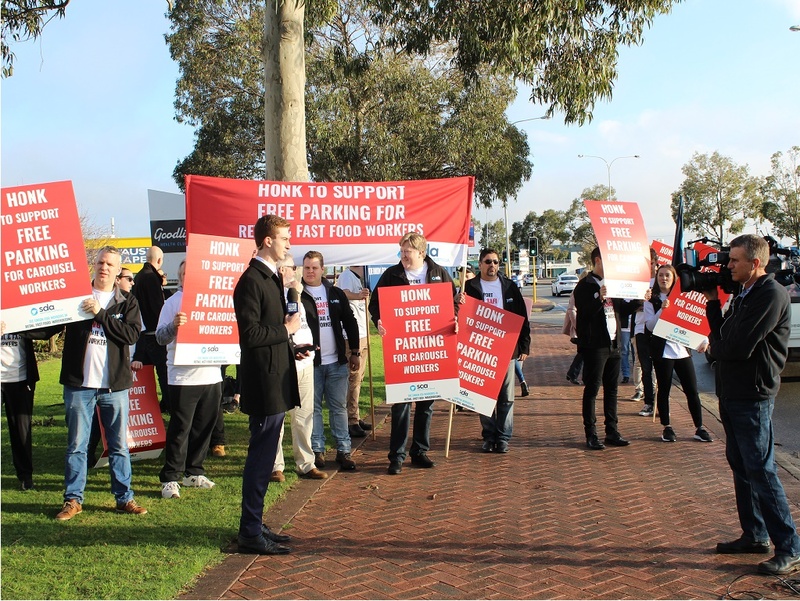 The SDA, Union for retail, fast food and warehouse workers in WA, have tackled the issue of paid parking head on with their Free, Safe Parking campaign. Full-time Carousel employees are up for a minimum of $15 per week in parking costs. This equates to more than $700, more than a full week’s wage, over the course of the year. Workers are being forced to work one week of the year for free as penalty for simply using their car – despite most people having no other realistic options when commuting to and from work. It is unjust and unfair and we want to see workers given an exemption from parking charges. Join the fight today by joining the SDA and signing the petition. Have your parking paid for a month. Click here to fill out the form and have the SDA reimburse the equivalent of four weeks parking. How can I help in the fight against paid parking? There are a number of actions you can take to assist workers and the SDA in their fight for free, safe parking at Carousel. Follow the campaign on social media: Find both the Free, Safe Parking for Retail and Fast Food Workers and our mascot Van Parkerson on Facebook, Instagram, and Twitter. Tell your friends and colleagues about the campaign. Join the union: If you or your colleagues are yet to join the SDA, now is your chance. The more united the workers are in the fight against paid parking the greater chance of success we have. Through stronger resistance, more resources, and increased community support we can all defeat paid parking. Write or call your local shopping centre: Get in touch with your local shopping centre to let them know that you don’t support the introduction of paid parking. I don’t work at Carousel but I still pay for parking? The SDA recognises the financial strain paying for parking places on retail and fast food workers. The union remains committed to fighting for free and safe parking for its entire membership, however, it’s recognised there are differences between inner-city workplaces and suburban shopping centres in relation to public transport access and existing parking infrastructure. The circumstances at Carousel Shopping Centre mean about three quarters of a million dollars is being taken straight from the pockets of retail workers each year and placed directly into Westfield’s corporate coffers. As customers have access to free parking this cost places an unjust burden on workers to pay for the recent $350 million upgrades. The SDA shares the broader community’s disapproval of all paid parking at shopping centres, however, the union has a duty to its membership. At Carousel customers are provided with at least three hours of free parking, Retail and fast food workers get no concession – a flat fee for simply turning up to work each day. The SDA remains committed to fighting for the provision of free and safe parking for retail and fast food workers. Will paid parking be introduced at my shopping centre? The SDA is bracing for a much larger fight – in short – we don’t believe the shopping centres when they say they have no plans to introduce paid parking. 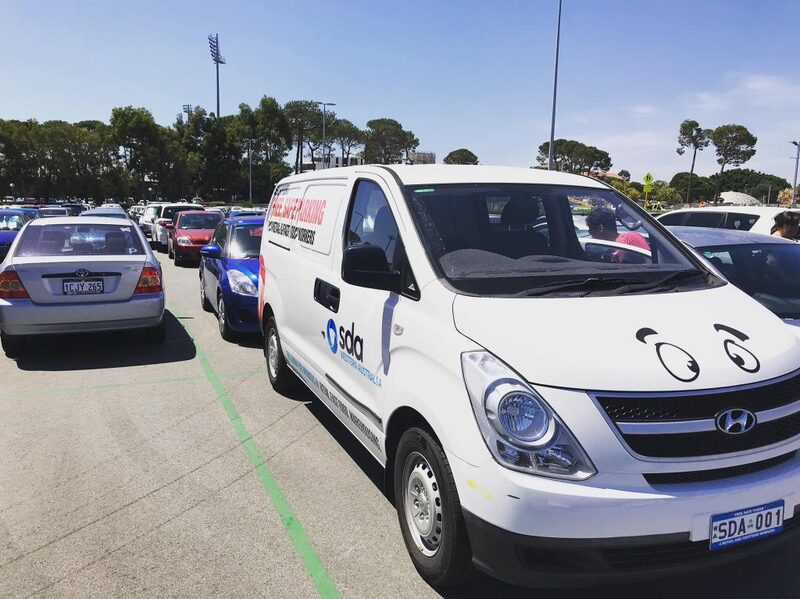 A very important component of the fight against paid parking at Carousel is stopping the “normalisation” of paid parking in shopping centres across WA. If the workers, together with the union, can turn back the tide at Carousel we can reverse the potential tsunami of paid parking across the rest of the state.